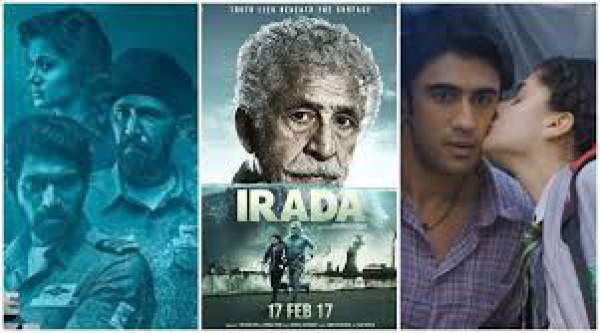 The Ghazi Attack, Running Shaadi, Irada 2nd Day Box Office Collection 1st Saturday Report: Friday the 18th was not a solo release day for the movies. In fact, 3 Bollywood and 2 Hollywood films released this time. However, it is not the first time when three flicks have been released together. The moviegoers have got difficult options to choose from. The Bollywood movies RunningShaadi, the GhaziAttack, and Irada are locking horns at the Box Office same time. The directorial venture of Amit Roy, RS is a rom-com drama which stars Amit Sadh, Taapsee Pannu, and Arsh Bajwa. RS released on over 1100 screens while TGA got more than 3500 screens for the release. Directed by Sankalp Reddy, Ghazi is a war drama which stars Rana Daggubati, Kay Kay Menon, Atul Kulkarni, Tapsee Pannuu, and late Om Puri. It is a trilingual film made simultaneously in Hindi, Tamil, and Telugu languages. Check: Raees box office collections. Rana Daggubati starrer minted Rs. 4.25 crores in total (Rs. 2.60 cr Telugu and Tamil versions while Rs. 1.65 cr Hindi) on opening day at the box office. RS was able to collect only Rs. 1 crore on Friday while Irada made just a total of Rs. 70 lakhs in India. The last week’s release, Jolly LLB 2 starring Akshay Kumar minted Rs. 4 crores on its 2nd Friday of release. TGA is faring well than any of the other two new releases at the domestic level. Also, it is getting better word of mouth and reviews. The competition between Jolly LLB 2 and The GhaziAttack will intensify on the coming weekend. Tapsee Pannu is the one who is making most of this competition as she stars in both TGA and RS. Let’s see what happens next. What are your views and thoughts regarding it? Stay tuned for more news.